The second most asked question I get is about using a Drone in my photography business. No, I don’t utilize a drone. Here’s why. To legally operate a drone for commercial purposes four items must be in place. a Section 333 exemption from the FAA – no cost, takes approximately 120 days to obtain – ok, I can do that. the aircraft (drone) must be registered with the FAA with an N number – cost $5 – Sure! a pilot with an FAA airman certificate MUST OPERATE THE DRONE – um, I’m not a pilot. I have no idea what the cost and time commitment would be to go down this path. It likely would not have a great return on investment. But what if I don’t charge for the drone footage? Even if the business is not charging for drone photography, the above four items are required. The FAA’s past behavior shows that they are not messing around with these limitations. The FAA actively sends cease and desist orders to registered businesses that advertise drone photography without a Section 333 exemption. They threaten to fine any business that does not respond. Here is a letter that was sent by the FAA that was posted online. Although there are rumors that no one has been fined, any threat of federal legal issues is enough to give me pause. In addition, in March 2015, they pushed the envelope by claiming the posting of drone footage on YouTube was a commercial pursuit since money is made by the poster through advertising. An April 2015 Forbes article showed the admission of the FAA that they didn’t have jurisdiction to order drone footage to be taken down as the footage itself is protected by the first amendment. However, while those that use the imagery created by drone use are likely safe, it is the people that are using drones commercially without authorization that they will be going after. In other words – me, if I were to be utilizing one with my business no matter if I were charging for the footage or not. As a new business just “getting off the ground” (pun intended), I don’t have the appetite for the risk I would put my business in should I have to deal with legal matters related to utilizing a drone. I’ll leave it to those that are authorized to do so or those that don’t mind putting themselves (or their business) at risk. 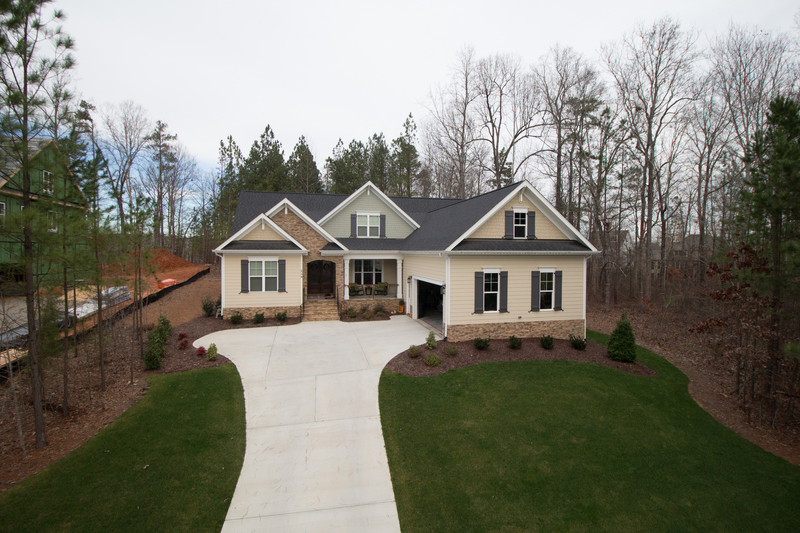 Ok, so lets say you are a real estate agent and want drone footage. The NAR has addressed this with an FAQ page that deals with this directly. A. search for a authorized drone operator here. In addition, I would make sure they have insurance for their equipment and liability insurance should anything happen while operating their drone. B. have the drone operator sign a form indemnifying you against any action, suits, damages, losses, costs and expenses (including, without limitation, attorneys’ and fees and costs) arising from the UAS operation or the use of the related UAS images, per NAR’s suggestion FAQ #14. So how do I get an elevated photo? I use a fiberglass 20 ft pole with my camera on top that is wirelessly controlled by an app. With my set up, I can get a pretty good view. With the stand, the camera is about 22 feet in the air. The best part? No messy laws to deal with. The photo at the top of the page was taken with this set up. Some might think it was a photo from a drone, but it is not. Will I consider getting a drone in the future? It depends upon the changes that will be made to laws. The deadline for getting new rules in place was in 2015. Deadline missed. It is rumored something will come out in 2016. The greatest need for reform would be regarding obtaining a license to be the pilot or operator of a drone. The complete Proposed Rules are here. But again, these are just proposals. It will be interesting to see the final rules when they come out. This information is NOT for commercial drones, it is for toy/hobby/recreational drones. You may have heard about a new registration process. In December 2015, the FAA also has launched required registration of recreational/hobby drones weighing over 0.55 lbs, but under 55 lbs. It can be done online. The registering person must be 13 years old or older. If the owner is less than 13 years of age, a person 13 years of age or older must register the small unmanned aircraft. The person registering must also be a U.S. citizen or legal permanent resident. You will be required to have your FAA registration certificate in your possession when operating your unmanned aircraft. If you operated your UAS before Dec. 21, 2015, you have until February 19, 2016 to register your UAS. If you purchased your UAS after Dec. 21, 2015, you must register before you operate it outdoors.